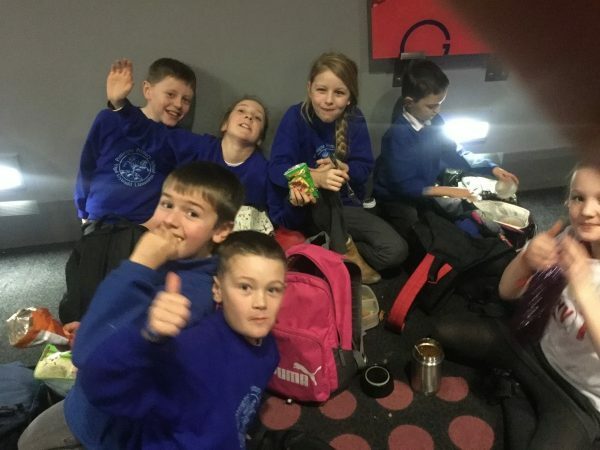 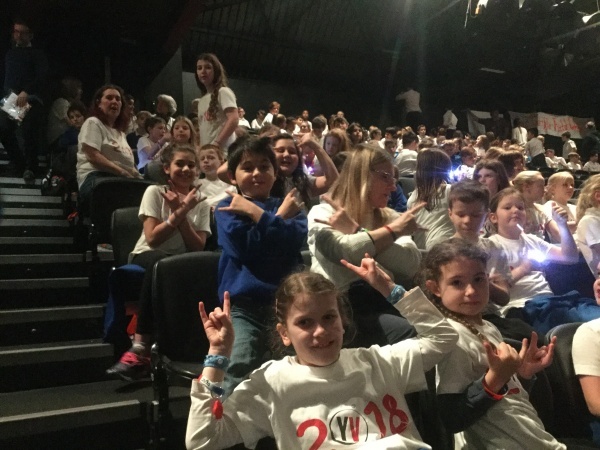 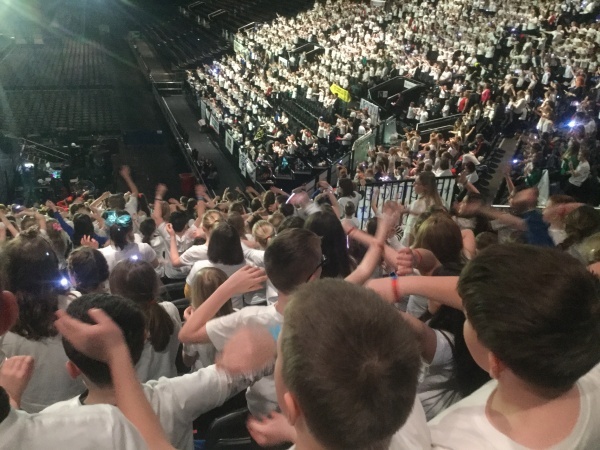 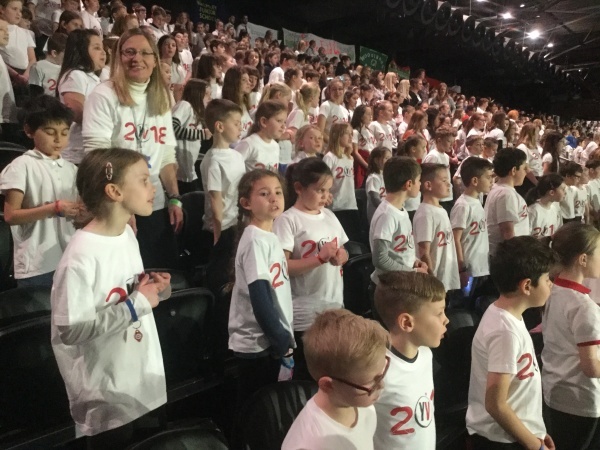 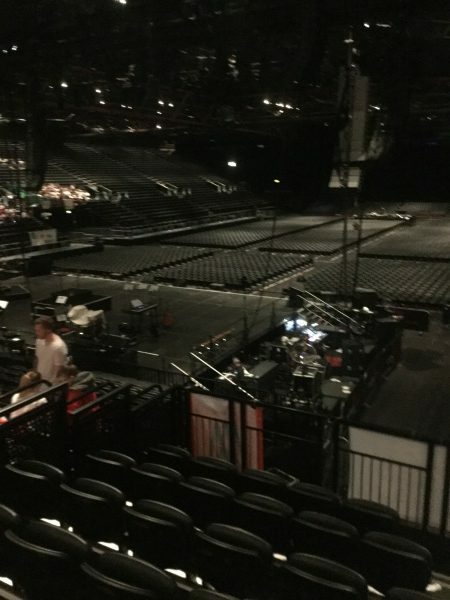 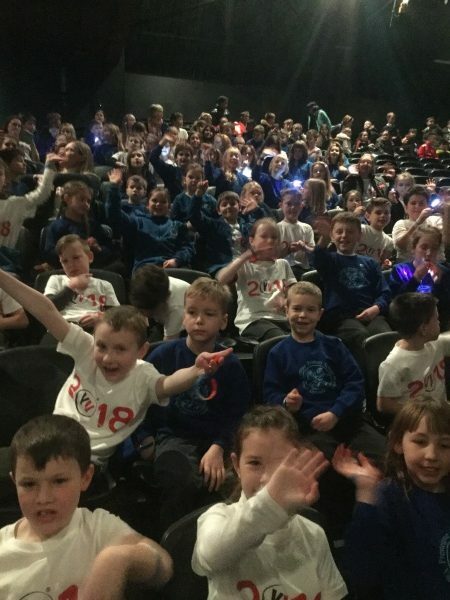 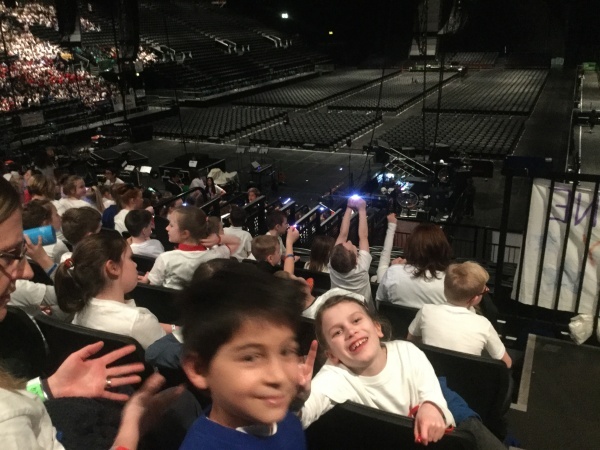 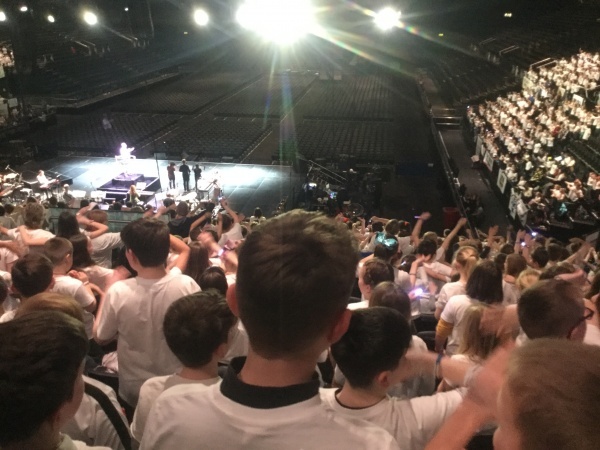 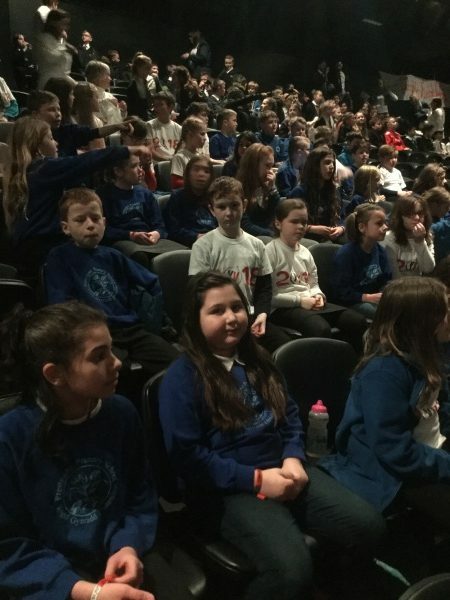 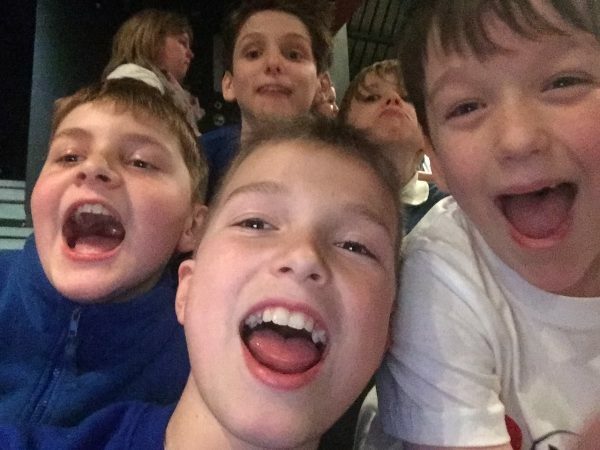 Well done to all of the Junior children who went to Young Voices. 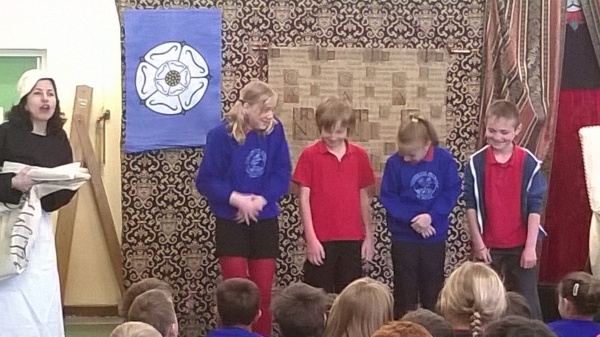 Their performance (and behaviour) was brilliant! 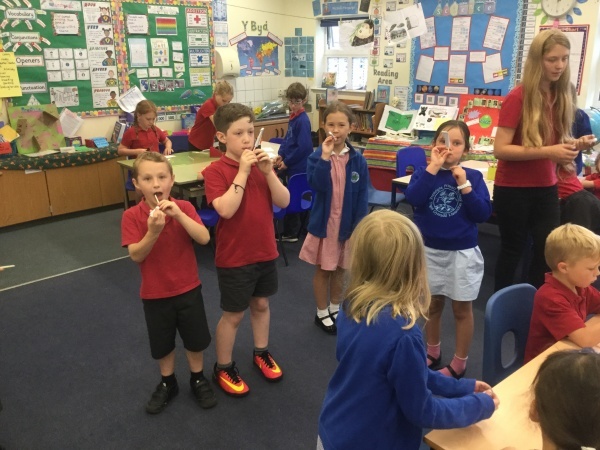 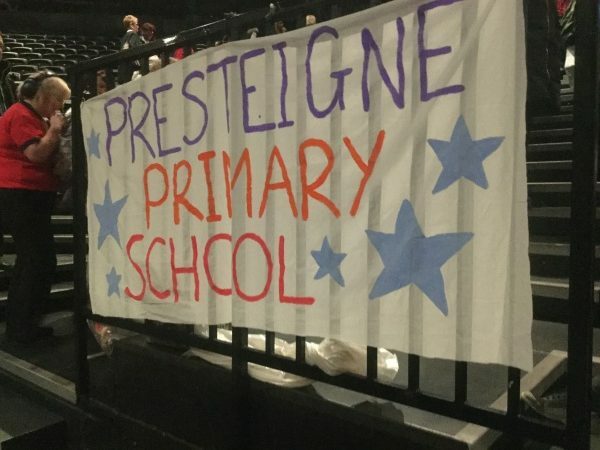 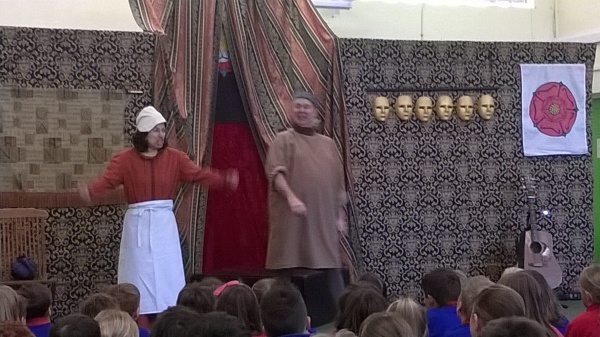 We’ve had a very exciting visit in Presteigne Primary School this morning. 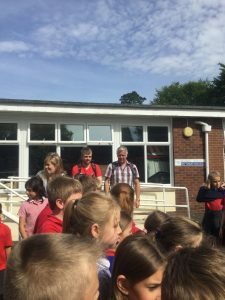 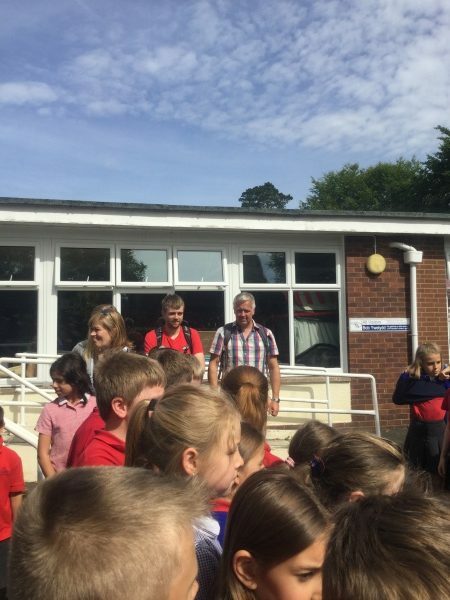 The BBC visited to film part of their ‘Weatherman Walking’ TV series starring Derek Brockway. 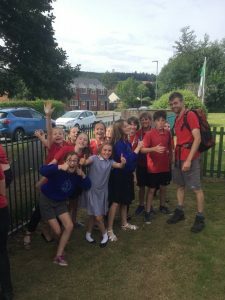 The show will be aired in February and features Tom Davies, a former pupil and teacher at our school. 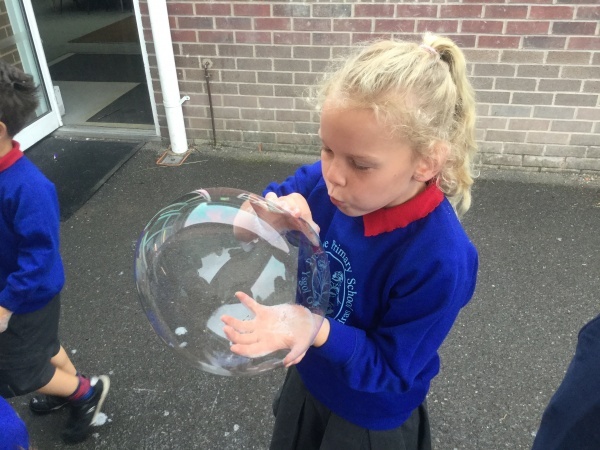 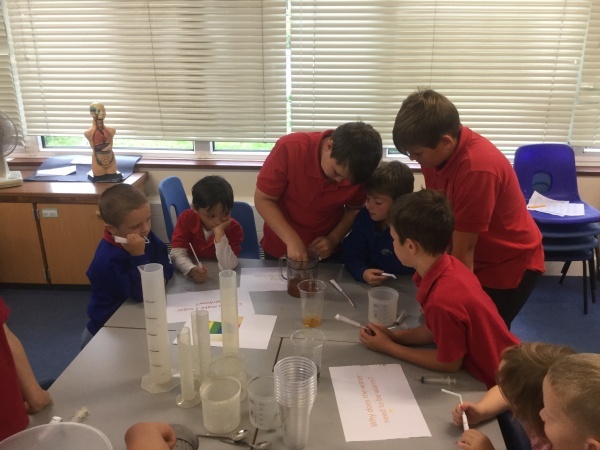 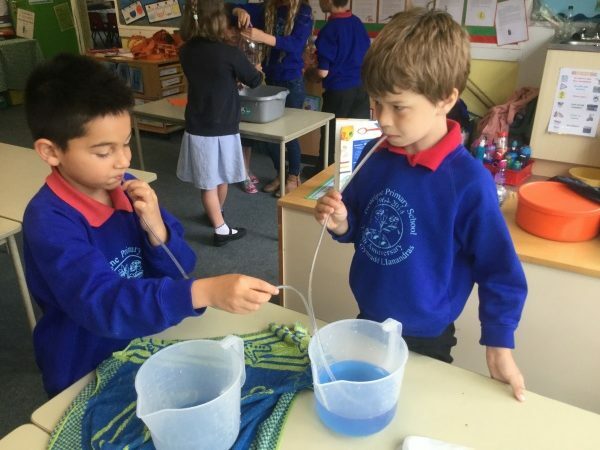 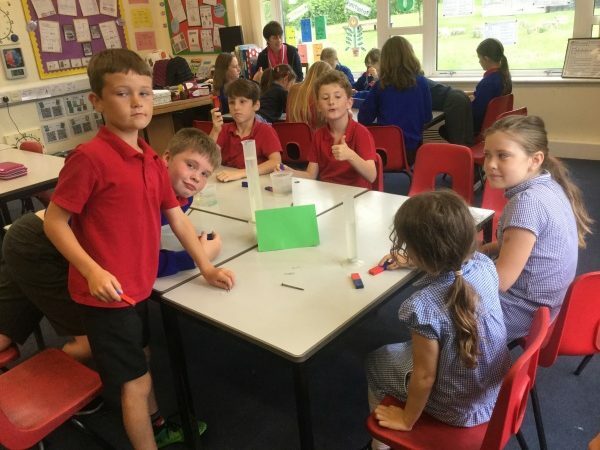 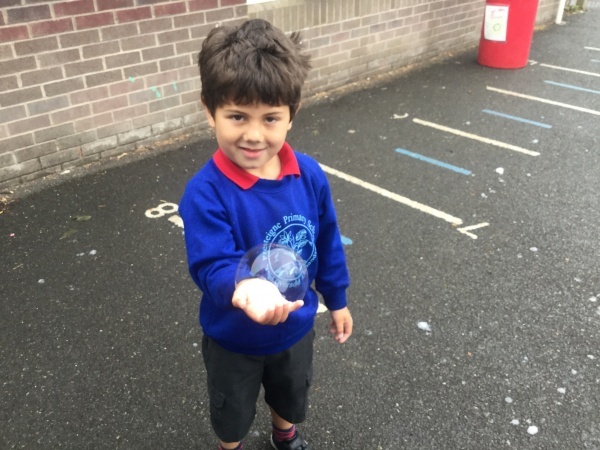 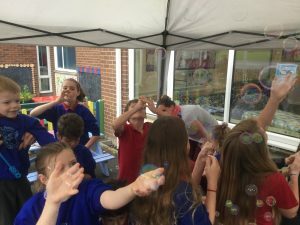 All the children and staff have had a wonderful science day. 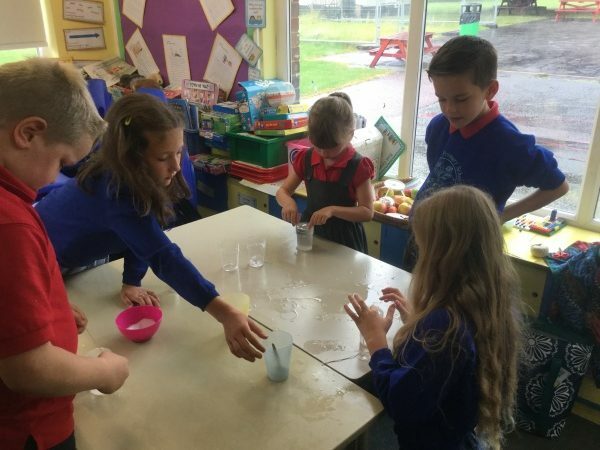 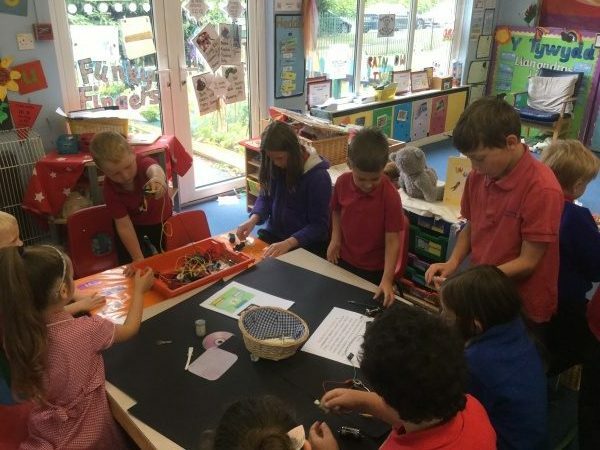 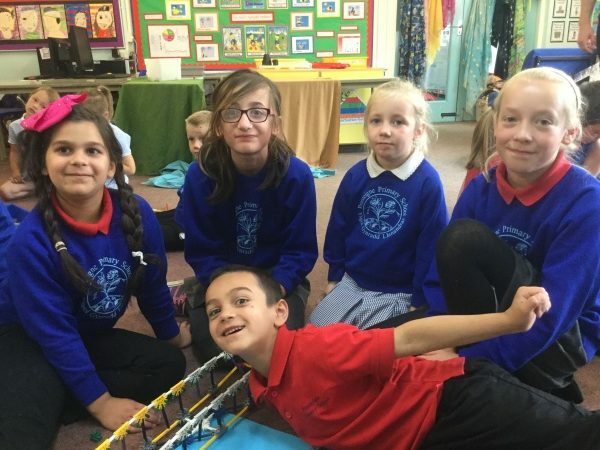 The children, from Nursery to Year 6, worked in mixed age groups. Here are some of the fun activities they have done around the school. We were lucky enough to have another visit from Pandemonium Theatre on April 28th. 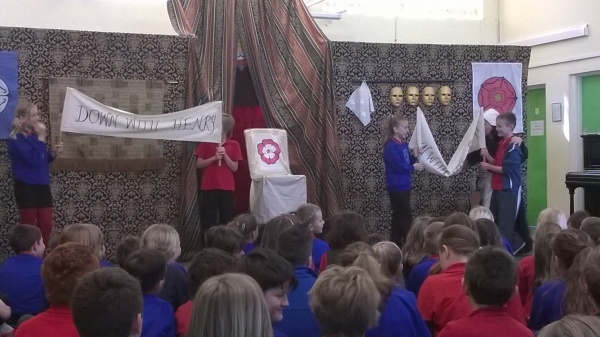 The Foundation Phase and Key Stage Two performances were fantastic! 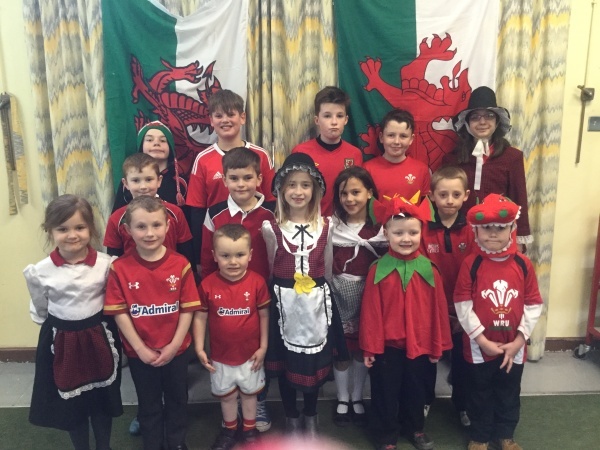 Thank you to everyone who joined us for our St David’s Day concert. 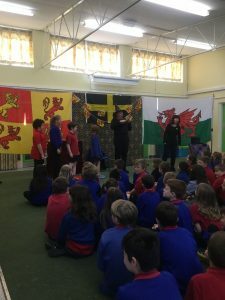 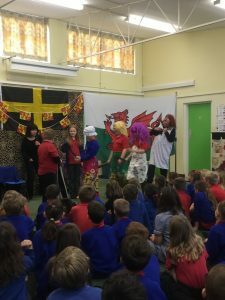 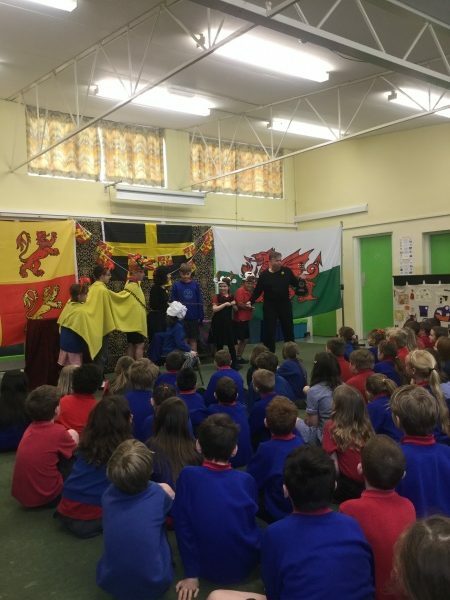 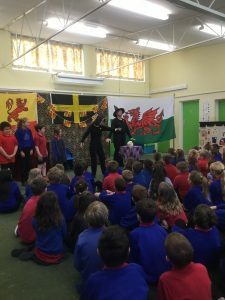 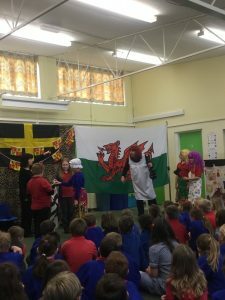 The children were excellent and performed Welsh songs, poems and told the story of St David. Here are some of the children in their Welsh outfits. 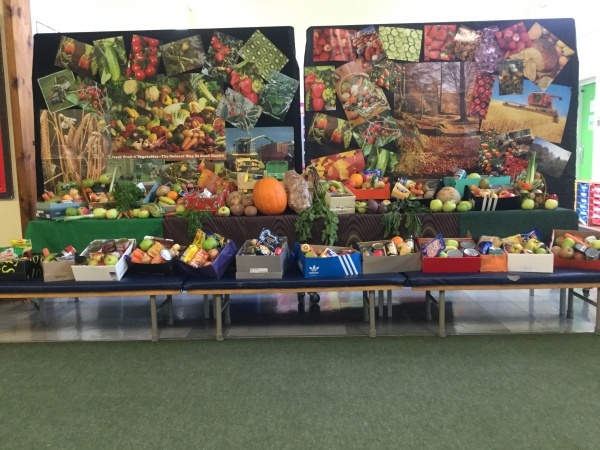 Many thanks to all parents and carers for their generous donations of produce. 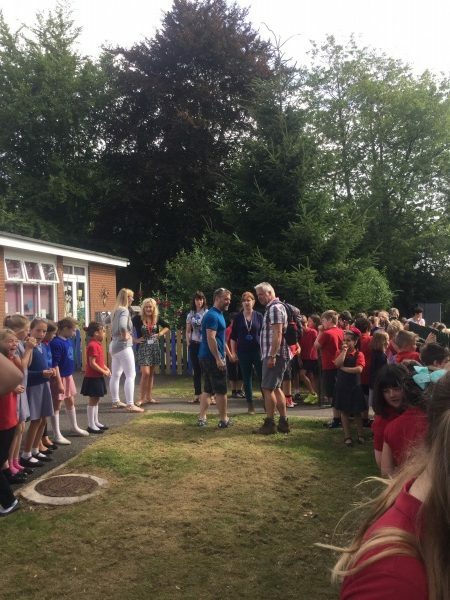 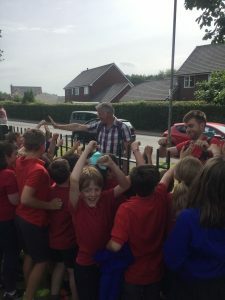 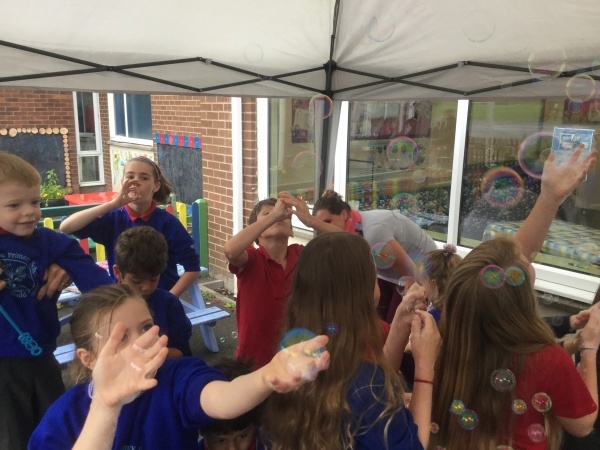 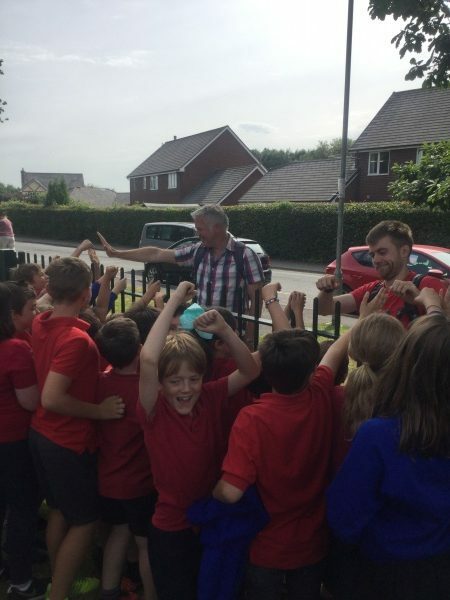 A huge Llongyfarchiadau (Congratulations) to every child in the school, and a huge thank you to everybody who has sponsored us. We are sure that we have raised a large amount for The British Heart Foundation. 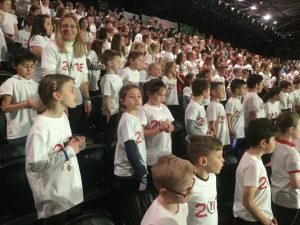 Thank you also to our Bronze Young Ambassadors for helping to organise the event. 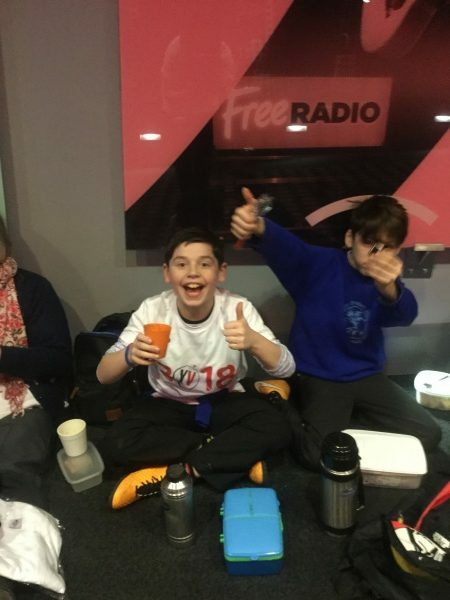 The final sponsorship total will be given once all sponsorship has been collected. Eisteddfod Coffee Evening will be on Wednesday 25th May 2016. 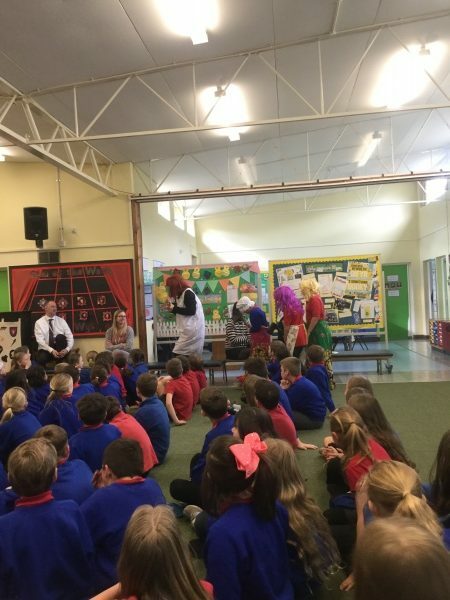 Pandemonium theatre visited us on Friday 15th May. The Foundation Phase and Key Stage 2 performances were brilliant!